Address: Jalan Muar (located at between Sagil and Kebun Bunga), Ledang, Johor. 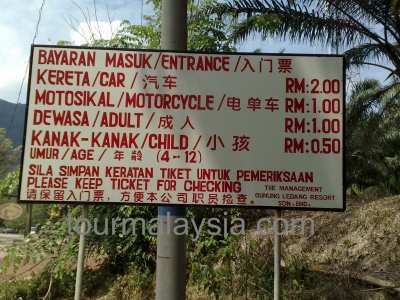 Entrance fee for Ledang Waterfall is RM 2 per car and RM 1 per passenger after the park was privatized. To climb this mountain you need permission from the Park HQ, where you also can hire a guide, a compulsory requirement. 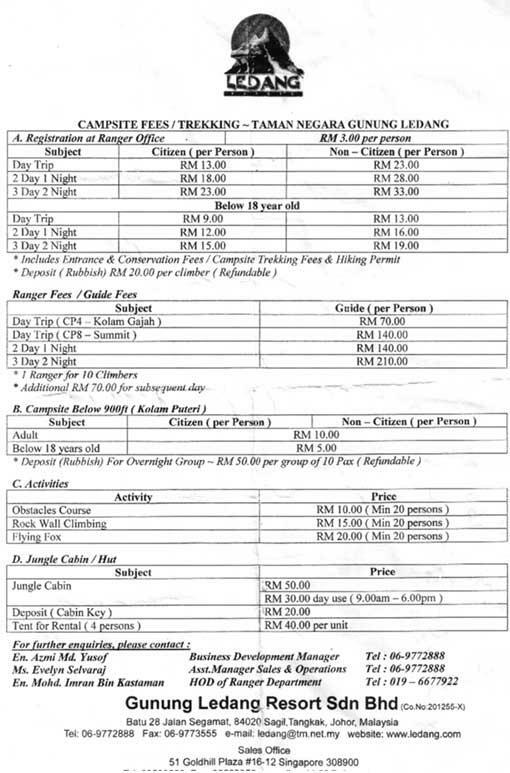 The summary of fees charge to climbers are cost per guide RM140, entrance fee RM5 per person (foreigner RM10), hiking permit RM5 per person (foreinger RM10), insurance RM2 per person (for death and permanent disability only) and rubbish deposit RM20 per person. The price list photo is courtesy to Robo J-Travel travel blog. By car, get out at Plus Tangkak interchange, drive along to Segamat direction and the junction to waterfalls is located at about 5 km after a small town, Sagil. It’s then a one km-plus walk through the plantation to the bottom of the falls. 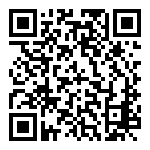 By train, drop at Segamat station, then take a taxi or bus to Tangkak. Ask the bus conductor to stop at the T-junction to waterfalls. 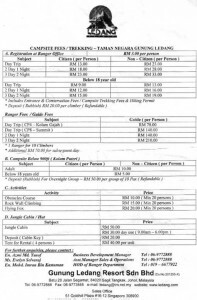 There is a luxury resort, Gunung Ledang resort at the mountain foot with the reasonable room rate from RM 150++ and upwards. Or you can rent a camping site to set up your camp. 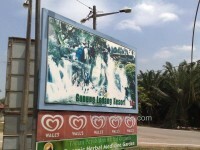 I used to visit Gunung Ledang Waterfalls (its local name is Air Panas or Ayer Panas) quite often when I was in teenage age since my new village is nearby the place. Insofar I had climbed up the mountain twice with my university classmates. The expedition journey takes about 5 to 6 hour for climber with a good stamina. Gunung Ledang, formerly know as Mount Ophir is with a height of 1276 m, is the highest mountain in Johor. There are many legends about the Princess (Puteri) of Gunung Ledang. The Puteri Fall is named after this legendary Princess. The fall is located on the lower slopes of the mountain which are easily accessible by a cemented walkway. The place attracts a big crowd, especially during the weekends and public holidays. Nice swimming pools and picnic sites in a surrounding of imposing and lushing green tropical forest. The Puteri Fall itself is more a cascade, about 60 m tall. As the cascade is curved, it is not really possible to get a complete view of it. At the top of the cascade there is another small fall, with a nice swimming pool. Don’t expect to be alone here during the weekend! The cemented walkway ends here, and the real climbing of the mountains starts. The falls are a lot nicer than those at Kota Tinggi and they stretch along the mountain-side up to Twin Fall at 1900 ft elevation. Twin Fall is a beautiful, 100-150ft height waterfall along the trail to the top.